I’m diggin’ these new prints from Echo for Kravet’s new wallpaper line. The yellow and white damask print is such a modern/traditional mix that could go either way (new word: tradern? moditional?) And the zebra, is well-ME. A powder room with zebra paper and glossy white lacquer mirror and vanity? Sign. Me. Up. I'm loving the zebra print paper! Sign me up, I love all three!! Hmmm…I am seeing more and more wallpaper around! I just rid my house of the last bit of wallpaper in January – I personally love the versatility of a painted wall, but I have to admit, wallpaper adds a lot of character to a small room like a powder room. 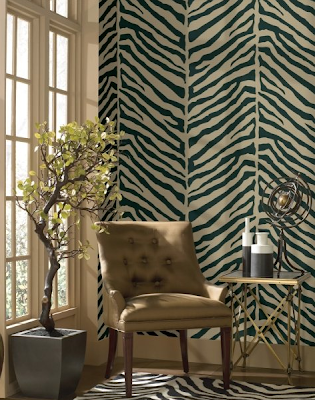 we must be thinking the same things today because I posted about wall paper AND I picked the zebra for a powder room in my post- too funny!! I agree, this is beautiful. Especially the last. Love that zebra print! The color is so unexpected! Loving that zebra print too! I'm obsessed with wallpaper too lately.I see a project in my future for sure. 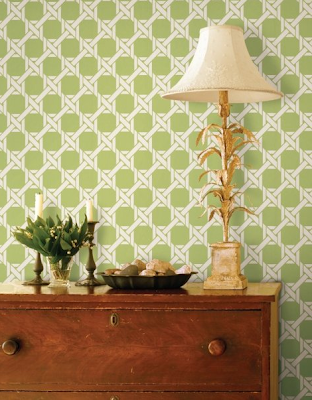 I really love the modern/traditional mix of the damask pattern :) The last pattern's cute, too.